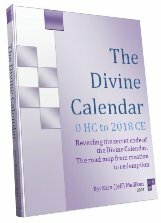 There have been several major revelations since L’ag B’Omer this year, the final one, which will be revealed in part 3 of this 3 part article, is the linchpin that explains the entire divine calendar and the trinity. Seven weeks ago on L’ag B’Omer, May 3rd, the 33rd day of the Omer, a wound opened up in the world and the planet began to bleed. What began as a trickle has become a raging torrent and rivers of molten fire are surging from the gaping wounds as pillars of fire and ash rise skyward. 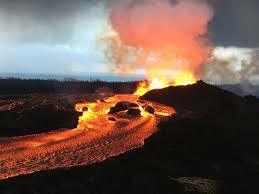 Volcanos around the world are not new nor infrequent, and neither are earthquakes, but nothing is as it seems. Whatever we think we know about the world we know from a centralized consortium of media that are designing that world around us. Like being engulfed in a novel, movie, or virtual reality game, we willingly except the fantasy as real and willing let someone else build it for us. Our minds and senses are built to accept it, not to question. That is the Matrix choice. That is the difference of the two trees of Gan Eden. If you really think the news you receive is independently generated, click on this video composite below. Have you ever wondered what is the purpose of our existence? It is simple, but we need to overcome the limitations of our own minds first; the limitations of the knowledge of good and evil. The purpose of our existence is to break through the barriers of our reality. That is the only thing holding us back since the window of Mashiach opened for us this year. However, before we can do that we must first be able to see our so-called reality for the illusion that it is. We must first see the prison guards before we can get past them. 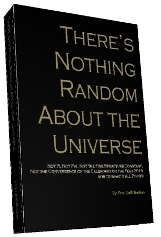 In spite of all that we have already uncovered about the unfathomable symmetry of the physical dimensions of our solar system; the divinely designed nature of our mathematical constants, our calendar, the structure of time; and the profound depth and beauty in the design of the Torah I still marvel at the profundity and preponderance of the illusions to be discovered all around us. On May 23rd, I noticed that there were several large earthquakes, all between 4.2-5.6 on the Richter scale and all at exactly 10K in depth. While there are 100’s of small earthquakes every day, these stood out for their similar size, for their being the exact same depth, and more importantly because they were all in a straight line (same latitude) around the planet from Indonesia to Venezuela to Panama to the Mid-Atlantic Ridge. Earthquakes usually happen at fault lines where the tectonic plates meet, and these may have, but they also occurred at an artificially drawn ring around out planet. There would be more such quakes that day, about 23 in total, all around the globe, all within those dimensions and at that same 10K depth, yet most of the rest were no longer in that tight ring around the planet that had occurred within a couple hours of each other. Most days since then there have been a couple such quakes, some days many of them. When I researched why earthquakes would occur at that particular 10K depth, I discovered that back in 2010 may forums were asking the same questions. That is when the United States Geological Survey, a government agency, posted a bulletin saying that when an earthquake’s depth is unknown due to a lack of nearby monitoring stations they post “10K” as the depth. The forum died down, but several people remained skeptical, as was I. Some of these quakes were repeated in the same exact location day after day, others close to major population areas, even in Europe Japan and the US, so why 8 years later have they still not gotten around to placing seismographs there? Is seems farfetched, given that even in the remotest of locations on the planet they can simultaneously determine even the slightest of quakes from .1 to 500+ kilometers beneath the Earth’s surface to within a 1/10 of a kilometer. There are other reasons to make their assertion seem ridiculous and appear to be an absurd attempt to cover something up, but what? Some speculate that it has to do with aiding oil production, especially fracking, some far speculate far more sinister things. I have no idea. All I know is that if I could see through it, so has every nation on earth and thus they must all be cahoots in the cover up, for whatever reason. After all, there must be a logical reason that a spec of an island off the coast of Madagascar (Pamandzi, Mayotte) has an international airport with daily flights all over the Mid-East, and that it is also the recipient of at least 20 of these very particular quakes every month. My purpose is not to find yet another conspiracy to point at the Deep State, the later day Erev Rav; it is only to illustrate that nothing is what we think it is. The illusions are all around us. The real question we should be asking is what are the illusions covering up. What is behind the smoke and mirrors? People ask me every day where is the promised light? It is so unfortunate that in this illusionary world our most important task is to find the light amongst the darkness. Spiritually, that was much easier 3330 years ago. Today, the darkness is not only pervasive it is going supernova, blinding us in all directions, blinding us everywhere we look. It is always darkest before dawn, yet in this case the darkness is so intense it appears to us as light, completely obscuring the real light and forcing more and more of us to turn our backs to the light. Unity, the key to it all, is all but impossible, as most of us have been living so long under a false narrative. Entire generations have now been born into it. So many of them wont even look up from their devices to touch reality; what kind of perspective can they possibly have? So much of what we wholeheartedly believe to be real has been carefully created for us, guiding us, one and all, towards a cliff we cannot see. We wrote how AI (artificial intelligence) was being integrated into all our systems, leaving less room every day for human consciousness, dulling our brains. It is a hard task to overcome our nature with our brains fully alert, nearly impossible with them on auto-pilot. That was two months ago, now we are hearing stories everyday where people are having conversations in front of their phones and other electronic devices and being sent targeted advertisements based on those personal verbal conversations. Have you ever had a private conversation you would not want the world to know? It is well known that the security agencies, and thus hackers too, can remotely turn on the cameras built into your TV and computer. Have you ever done anything in front of those devices you would not want to be seen around the world. So if they are data-mining all our daily conversations they have to be processing and amassing a mindbogglingly enormous amount of information. That would take numerous stadium size warehouses of servers. And those would have to be hidden in hardened facilities, which would take enormous logistical resources just to hide them from the public, let alone build and operate them. It would also take trillions of dollars. We could tell you where that money came from and you would not like it, but that is not point either. We must all wake up quickly. Hopefully, the next two articles in this series will spike our brain activity and shake us awake. This is the year of Moshiach, but like the duality of the 9th of Av, it is also the year of satan, his final year. All will be explained in the next two articles. B’H we will all soon be able to see the light that shines from the true reality. Yes, B’H and Bli nadar, as soon as possible. According to most sources, Saul’s reign lasts from 884 to 882 BCE. He’s king for only two years and he dies a tragic death. Indeed, his brief reign is largely tragic. While his great weakness, his misplaced modesty, causes him to make a fatal mistake at the beginning of his kingship. He disobeys the commandment of God to wipe out the nation of Amalek. Amalek is the ultimate enemy of the Jewish people in history. This is the people that symbolize evil, and there is a commandment in the Bible to wipe them off the face of the earth, because their pathological hatred for Jews is so great, if they have a chance they will wipe the Jews off the face of the earth. Amalek’s major ambition is to rid the world of the Jews and their moral influence and return the planet to idolatry, paganism, and barbarism. Saul has the opportunity to do so. He wages war against Amalek as commanded and wins, but when it comes to fulfilling the decree he falters-some of the Amalekites are left alive. At the behest of the people the cows are spared, and worse—through Saul’s misplaced mercy Agag, the king of the Amalekites, is spared also. To this day, history continues to struggle with the consequences of Saul’s mistake. The Amalekite nation survives and Agag lives long enough to father a child before he is killed by the Prophet Samuel. Today, we have no way of identifying the descendants of Amalek—his descendents a mixed in amongst the nations, but we do know that the Amalekite ideology lives on. There has been more than one occasion when people have arisen bent on exterminating the Jews. The Bible itself mentions that the battle with Amalek represents the ultimate struggle in history between good evil with total victory achieved only at the End of Days. Thank you for your posts; they match this historic year (5778), prophetically and within current society. May we all find our path and remain protected within HaShem’s love for us. Be blessed. earthquakes and volcanoes now. What if Yellowstone erupts ehh? The media is a bunch of balony. Most people know/believe that. I would love to see someone come along and explain moshiach conscious and how to obtain it. Get to the heart of the matter. Before the gates close….Clarify things for everyone. But nope. We’ll see. Who knows!? Who knows!! It would be helpful if a source could be provided for this. Also it is unclear why you limited the earthquakes to between 4.2-5.6 on the Richter scale which seems arbitrary. The other thing is why you focused on May 23, which seemingly has no connection to anything (other than perhaps the number of earthquakes you cited, “about 23 in total”). This also seems odd because you started the blog post by discussing Lag B’Omer on May 3, not on May 23. Is there some mistake here? Anyway, when I searched I found different data reported. 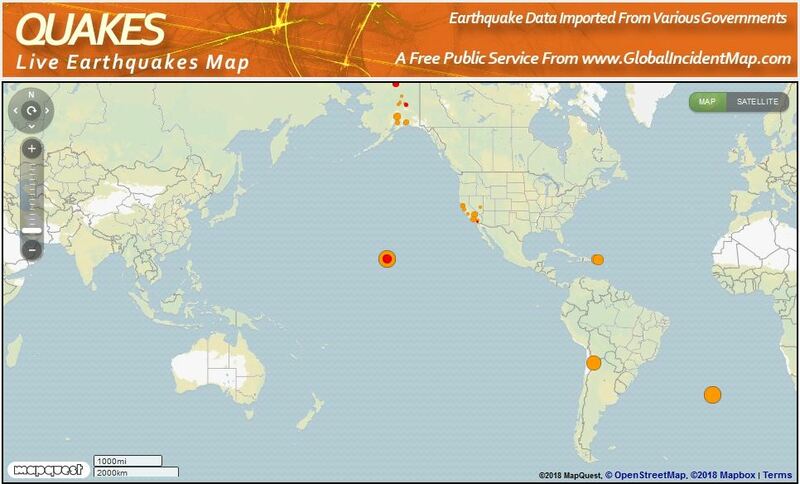 For example, see https://www.volcanodiscovery.com/earthquake/news/69063/Earthquake-report-world-wide-for-Wednesday-23-May-2018.html where there is also a world map showing earthquakes above magnitude 3 during the 24 hours on 23 May 2018, and in summary it says there were 39 quakes M3+, 10 quakes M4+, 4 quakes M5+ (53 total). The data for May 3, 2018 also did not match, as the same website reports for that day there were 31 quakes M3+, 21 quakes M4+, 2 quakes M5+ (54 total). Please explain as this is an interesting subject. It is interesting that in the previous census of the Levi’im (Numbers 3:39) there were exactly 22,000, so in this second census there are exactly 1,000 more, and obviously these numbers are significant. Shabbat Shalom. Thank you for all the great work on eh Shema etc. We should set up a separate page for the Shema and post all relevant articles and comments there to make it easier for people to find them collectively. Let me know what you think. Sorry I didn’t mean to set off any “earthquakes,” all I asked for was the source of your data, yet in your answer you still didn’t provide the “source” you are using but instead just gave a lot of raw data. Regarding number 23, on Shabbos I came across a citation of Daniel 8:14, where the number 2300 is given as a key factor in the redemption. Searching I see this was discussed here on Kabbalah Secrets years ago, including calculations of how it ties in to this year 5778… May all this be fulfilled now! Wheres the next 2 articles? This is significant since Aharon the Kohan Godol was leader of the whole tribe of Levi, about whom the Torah states that their number in the second census was 2300, which instead of being 23 + 100 is 23 x 100, a formula with the same number components with merely a change in the way they are combined, multiplication instead of addition. Aaron is the only person for whom the Torah mentions the specific day of his passing. That day starts tonight, “the fifth month on the first day of the month,” Rosh Chodesh Menachem Av, which corresponds this year to Friday, July 13, 2018. In passing it is noteworthy to point out that אהרן, Aharon, is gematria 1 + 5 + 200 + 50 = 256, which is the same as (123 x 2) + 10 = 256, and this therefore seems to fit nicely with the above numbers inherent in Ahron’s age at his passing. In addition 256 = 64 x 4, which corresponds the number of Tzitzis string threads according to the custom to make each string by weaving together 8 threads, thus with 8 strings on each of 4 corners there are 8 x 8 x 4 threads, as I explained in a previous comment on the “Auspicious Dates” post. Also 256 = 2^8, the number 2 to the 8th power, and this is also corresponds with the 8 strings of Tzitzis. Tzitzis is the Mitzvah that reminds us the most of the priestly garments, and it is fitting that these hints to Tzitzis are evident in numbers that are connected to Aharon the first Kohan Godol, for whom the Torah describes at length the most elaborate priestly garments for him to wear while serving in Hashem’s Holy Sanctuary. The connection to Hashem is also evident in that אהרן, Aharon, gematria 256, plus 4 for the 4 letters of his name, sum to 256 + 4 = 260, and 260 = 26 x 10, i.e., 10 times the gematria of Hashem’s Name, and also the idea of Aharon becoming united with Hashem and serving out of love are hinted in this since 260 = 13 x 20, and 13 is the gematria of אחד, Echod, One, and אהבה, Ahavah, Love, and 20 represents Kesser, as explained, thus indicating unity and love on the highest level. As you said, Aaron’s hillula was the only such date marked in the Torah, and this death of the Cohen Hagadol in the verse (Numbers 33:38) hinted at the destruction of the First Holy Temple in 3338. Speaking of the Hilula of Tzadikim, tonight 5th of Av, is the Hilula of the Arizal. Interestingly אריזל, Arizal, is gematria 248, the same as אברהם, Avrohom, and same as במדבר, Bamidbar, the 4th Book of Torah, that we just completed last Shabbos. Meanwhile דברים, Devorim, the 5th Book of Torah, that we now have started reading, is gematria 256, the same as אהרן, Aharon, as we discussed. May we merit to follow in the ways of these great Tzadikkim! Arizal is an acrostic for אדונינו רבי יצחק זכרונו לברכה, Adoneinu Rebbe Yitzchok Zicrono L’Brocha, Our Master Rebbe Yitzchok of Blessed Memory. His name יצחק, Yitzchok, like our forefather Yitzchok, is gematria 208, which is 8 x 26, i.e., 8 times the Divine Name Hashem. Therefore adding to my previous comment that Arizal = 248, the same as Avrohom, if one adds Yitzchok = 8 for the 8 times the Name Hashem is hinted in his name Yitzchok, it sums to 248 + 8 = 256, the same as Aharon. Thus too Arizal Yitzchok hints to the union of our forefathers Avrohom and Yitzchok, as does Aharon Kohan Godol. Interestingly the Arizal’s family name לוריא, Luria, is gematria 247, and with 1 for the Kolel, or 1 for his first name, also equals 248. There are Kabbalistic poems from the Arizal that are traditionally sung at the Shabbos meals, with the acrostics for the stanzas in these poem spelling out the name Yitzchok Luria. The first of these, for the beginning of the Shabbos on Friday night, is longer, and the acrostics for its stanzas spell out אני יצחק לוריא בן ששלמהא, Ani Yitzchok Luria ben S’Shlomo’a, I am Yitzchok Luria son of Shlomo. This poem begins with the word אזמר, Azameir, “I will sing,” and this too is gematria 248. The second word בשבחין, B’Shvochin, “with praises,” is gematria 372, and together Azameir B’Shvochin sums to 248 + 372 = 620, which is the gematria of כתר, Keser, the highest Sefira. As stated previously there are hints to the Shma in general, and to the third paragraph of Shma in particular, in Sedra Bamidbar, starting from the very first verse. First of all the name of the Sedra, במדבר, Bamidbar, “In the Desert,” so named after the 5th word in the first verse, and after the story of the wandering in the desert that it describes, is gematria 248, corresponding to the 248 positive commandments and to the 248 words in the recital of Shma, which are completed with the third paragraph of Shma and repetition of the last words of the paragraph and the word Emes. Bamidbar is also the name of the entire 4th Book of the Torah, which also is know by another name, the “Book of Numbers,” due to the two censuses of the Children of Israel it relates, and this is a translation of the Hebrew words ספר הפקודים, Sefer HaPekudim. It is interesting that the word HaPekudim in gematria is 245, and with 3 more for the 3 letters of the word Sefer, or with 2 more for the 2 censuses it relates and 1 for the Kolel, sums to 245 + 3 = 248. Alternatively HaPekudim, 245, plus 4 since it is the 4th Book of the Torah, sum to 245 + 4 = 249, which is the same as 248 plus 1 for the Kolel. Either way this also conveys the same idea that it alludes to the 248 positive commandments and to the 248 words in the recital of Shma. In the first verse of Bamidbar the cantillation sign on the word Bamidbar is a common one, a מרכה, Mercho, however it is interesting that the word Bamidbar also occurs in the first verse of the Book of Devorim, the next Sefer [which by Hashgacha Protis we read the first Sedra this week], and there the cantillation sign on the word Bamidbar is a פזר, Pozair, and as discussed in previous comments, Pozair is gematria 287, corresponding to the 287 letters of the third paragraph of Shma. That is the only time that the cantillation sign Pozair occurs in an opening verse of any Parsha of the Torah, and in connection with what was explained above this seems to be significant. The 1st and 2nd words of the verse, וידבר י-ה-ו-ה, Vayedaber Hashem, “And Hashem spoke,” are gematria 222 + 26 = 248, the same important number. As explained a number of times, 248 is also the gematria of Avrohom, and the number 248 ends with digit 8, and it is also 8 times the gematria of a Divine Name, since it 8 times א-ל, E-l, gematria 31, i.e., 8 x 31 = 248, the Name with which Hashem called to Avrohom when commanding him with the covenant of circumcision on him and on his household and on his future offspring, starting from Yitzchok, on their 8th day of life. The 3rd and 4th words of the verse, אל משה, el Moshe, “to Moshe” [the word “to” and not the Name “E-l” that is spelled the same], are gematria 31 + 345 = 376, the same as the word שלום, Sholom, Peace [also hinting to the pivotal number 3760 that is key to the Divine Calendar as Ezra explains]. The theme of Peace, in addition to being considered in and of itself a Divine Name, is very relevant to the Shma since the purpose of the Torah and reciting the Shma is to bring peace and completeness (Shleimus) to the world and to the relationship between man and G-d. It is possible to say that the number 376 = 300 + 70 + 6, corresponding to the first letter Shin of Shma, gematria 300, the large letter Ayin of the first word of Shma, gematria 70, and 6 for the 6 words of the first verse of Shma or of the adjoined silent verse Boruch Shem Kevod Malchuso L’Olom Voed. These first 4 words of the first verse of Bamidbar, “And Hashem spoke (Vayedaber) to Moshe” correspond to the first 4words “And Hashem spoke (Vayomer) to Moshe” that begin the third paragraph of Shma. Below it will be discussed how also the last word of both this first verse of Bamidbar and of the first verse of the third paragraph of Shma are identical. As noted before, משה, Moshe, in gematria is the same as the Divine Names א-ל ש-ד-י, E-l Shadai, 31 + 314 = 345. Incidentally it says in Seforim that when E-l Shadai is spelled out fully אלף למד שין דלת יוד it sums to 111 + 74 + 360 + 434 + 20 = 999, and with 1 for the Kolel equals 1000, which corresponds to the 1000 letters of Shma. The 5th word of the verse is Bamidbar, gematria 248, with significance as mentioned above, and the 6th word סיני, Sinai, is gematria 130, corresponding to the gematria of Echod, 13 times 10. Together the 5th and 6th words of the verse, במדבר סיני, Bamidbar Sinai, “in the Sinai desert,” add up to 248 + 130 = 378, which is the same as 376 + 2, like the word בשלום, BaSholom, “with peace,” very similar to the gematria of the immediately previous 3rd and 4th words. The number 378 = 300 + 70 + 8 and it may be that the 300 corresponds to the 287 letters of the third paragraph of Shma plus the 5 knots and 8 strings of Tzitzis, 287 + 5 + 8 = 300, the 70 corresponds to the 69 words of the third paragraph of Shma plus the 1 word Emes, and the 8 corresponds to the 3 paragraphs of Shma plus the 5 verses of the third paragraph of Shma, 3 + 5 = 8. Incidentally it is impossible to see the formula 3 + 5 = 8 and not see the hint to the number 358, the gematria of משיח, Moshiach. Together these first 6 words of the verse sum to 222 + 26 + 31 + 345 + 248 + 130 = 1002, and with 1 for the Kolel sum to 1003, which corresponds to the 1000 letters of Shma plus the 3 letters of the word אמת, Emes, True, that are joined to the Shma. Adding a Kolel of 1 for each of these 6 words brings the sum to 1002 + 6 = 1008, which corresponds to the 1000 letters of Shma together with 8 strings of Tzitzis. The 7th and 8th words of the verse, באהל מועד, B’Ohel Moed, “in the Tent of Meeting,” correspond to the Talis which covers the person like a tent when one communes with Hashem, as shall be explained at length in a coming comment, and the gematria of these words, B’Ohel Moed, 38 + 120 = 158, can be interpreted as 1-5-8, i.e., 1 Talis plus the 5 knots and the 8 strings of Tzitzis. Without the prefix of the letter Beis, אהל מועד, Ohel Moed, Tent of Meeting, is gematria 36 + 120 = 156, which 6 x 26 = 156, i.e., since in the Tent of Meeting one is encompassed by Hashem in 6 directions, front, back, right, left, up and down. When spelled אהל מעד, without the letter Vov, it is gematria 150, corresponding to the Name Yud Heh, gematria 15 times 10, and the same as the word כנף, Konof, corner, as in the corners of the Talis, as explained above. The 9th word of the verse, באחד, B’Echod, “on the first [day],” hints to the word Echod, One, in the first verse of Shma, and with the prefix letter Beis makes the gematria of the word 2 + 13 = 15, the same as the Divine Name Yud Heh, with parallels in the way the Tzitzis are tied, as explained above. The 10th word of the verse, לחדש, LaChodesh, “of the month,” is related to the word חדש, Chodosh, “new,” and hints that the recital of the Shma should always appear as something novel and new for us to experience, and finding new meanings in it all the time, since it is infinite, like the giving of the Torah about which Chazal say it should always us as something new, and the “echo” of Matan Torah reverberates throughout all time. The number 248 corresponds to the number of limbs in the body and to the number of positive commandments, things we are commanded to do for all generations, while 365 corresponds to the number of days in the solar year and to the number of negative commandments, things we are commanded to not do for all generations. Just as there are hints to the number 248 in the first verse of Bamidbar, so too there are hints to the number 365 in this verse. The 11th word of the verse, השני, HaSheini, “the second [month],” is gematria 365, corresponding to the number of days in a year and to the number of negative commandments. The 12th word of the verse בשנה, BaShonoh, “in the year,” shares the same root as the word שני, Sheini, “second,” because a year marks the repetition of the seasonal cycle. In gematria בשנה, BaShonoh, is 357, which corresponds to the 287 letters of the third paragraph of Shma plus its 69 words plus the 1 word Emes, 287 + 69 + 1 = 357. The 13th word, השנית, HaSheinis, “the second,” begins with 4 letters identical to the 11th word, HaSheini, with a gematria of 365, as just said, and its last letter Tuv is gematria 400, and in the context of years symbolizes the 400 years that Hashem foretold to Avrohom in the Covenant between the Pieces that his offspring would be in exile for 400 years before they would be redemption, which this is related in the next words of this verse. It is possible that the repetition of hints to the numbers 248 and 365 in this verse allude to the repetition of the Shma two times, as stated in the words of the Shma iteself, “when you arise and when you lie down,” in the morning and in the evening. Incidentally 1272 is evenly divisible by 8, 1272 / 8 = 159, and 159 = 3 x 53, and similarly 424 is evenly divisible by 8 and by 53, since 8 x 53 = 424. The number 53 is the 16th prime number and the number 16 is significant since when multiplied by 2, the 1st prime number, 8 x 2 = 16, and since in this context the word Mitzrayim is the 16th word in this verse. The 17th and last word of the verse, לאמר, Lamor, “saying,” is the same as the last word of the first verse of the third paragraph of Shma. The word Lamor is gematria 271, and with 1 for each of the previous 16 words in the verse, sums to 271 + 16 = 287, which is the number of letters in the third paragraph of Shma. All together the 17 words of the first verse of Bamidbar sum to 222 + 26 + 31 + 345 + 248 + 130 + 38 + 120 + 15 + 342 + 365 + 357 + 765 + 561 + 331 + 380 + 271 = 4547, which 4547 is the 616th prime number. The number 616 is also evenly divisible by 8, for 616 / 8 = 77, i.e., 8 times the gematria of the word מזל, Mazal, fortune, 8 x 77 = 616, and indeed it is quite a Mazal to uncover all of these secrets that enhance our understanding and our connection to Hashem. The number 616 is also 600 + 16, and the word Tzitzis in gematria is 600, and with 8 for the strings and 5 for the knots sums to 613, corresponding to the number of commandments 248 + 365 = 613, and together with 1 for the windings and 1 for the loops (as explained above) and with 1 for the Talis garment itself the sum is 613 + 3 = 616. In addition, the 613 positive and negative commandments, plus 1 for Yisroel who performs the Mitzvos, and 1 for the Torah which teaches the commandments, plus 1 for Hashem who commands the Mitzvos, also sums to 13 + 3 = 616. Sorry, by accident I uploaded this comment here on “The Final Three.” It was intended for the continuation of my series of comments on the previous post “Auspicious Dates,” and I’ll upload it there so it appears in context too.